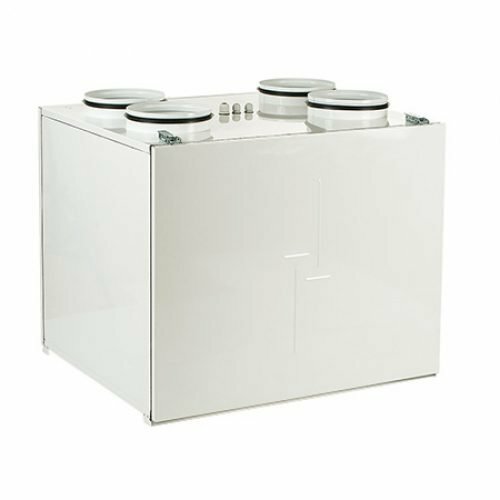 Highly efficient counterflow heat exchanger to maximise thermal recovery. Ease of installation: fixing brackets supplied to hang the unit easily on the wall. 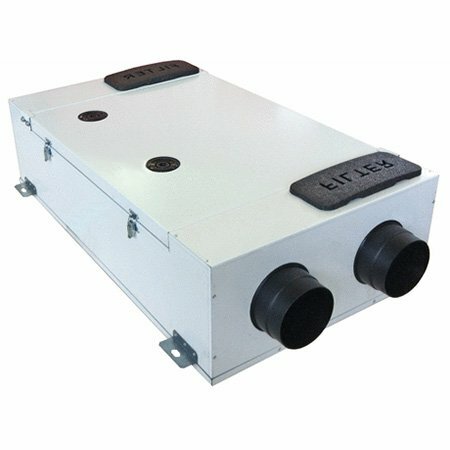 Heat exchange of the unit up to 90% efficiency. Quick access to filters and heat exchanger for maintenance. QR350 is equipped with an external sheet metal cover, finished in white RAL9010. G4 filters, removable for cleaning. Integrated bypass for free cooling; manual, automatic. Two drainage holes to meet climate requirement. 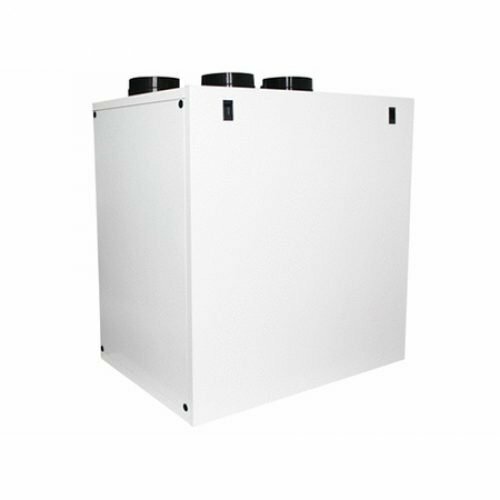 Aerauliqa QR200 MVHR unit is a continuous running heat recovery unit transfers heat from humid air extracted from wet rooms to warm incoming fresh air which is ducted to habitable rooms. 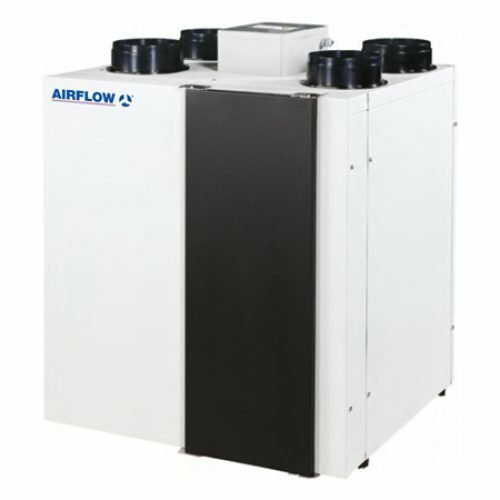 Thanks to the easy-to-fit air distribution system each single ambient can be properly ventilate: the boost function enables rapid extract of increased moisture or pollutant levels. It also provides discrete installation and very quite operation. 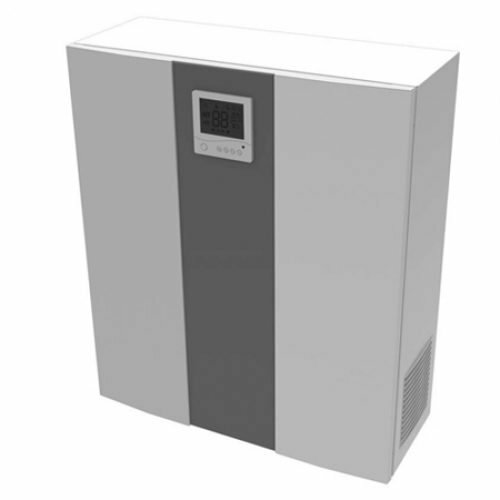 The preheated/precooled fresh air and continuous air changes reduce the demand for additional heating/air-conditioning. The EC brushless motors significantly reduce the electricity consumption. A correctly specified mechanical ventilation system can ensure the quality of the indoor air is constantly maintained for the health and well-being of the occupants as well as of the building. Duly maintained filters ensure that incoming air is suitably filtered of dust and pollen before if enters the home.